In the still of the busy night, cars stucked in traffic honking horns, we peacefully eat sticks of tempura/fishball in the dark. Lunch at Lantaw. 1st time in any Lantaw resto. Then to Canso X in Balamban, Cebu. It was quite a long drive when we have nearer mountains. But it was still worth it. The kids were counting the mountains on our way there. They said Canso X is the 3rd mountain from the city. So we hope to go trekking as what we saw in their marketing. Thus tad disappointed when we’re not able to go all the way trekking because they don’t allow without orientation and a guide because the person to do that is not there. Anyhow, we did what we could. It was still a blast! Meg picked a round stone, doodled a face on it, take it around with her, and named it Rocky. We checked the camping ground. I was tinkering with linkedin, when I got into “manage page” area, then I saw the description I put for “ideatoki.” I can’t help but laugh at how did we come up with those descriptions. ideatoki is a conversation agency based in Cebu, Philippines. We go for conversion via conversation. We provide social media service provider as an additional way to connect with the people. We are also a product company — building tools that are relevant to our clients’ social digital media marketing needs. * EXECUTE the plans. Reiterate if there’s a need, and also to keep it fresh. * BUILD and MAINTAIN the relationships that are made via the social media efforts. Of cafe madge in Iloilo City, and it was just amazing to see the barista do it the old school manual way. You know how we love the novelty of the old school way. And so I always wonder what is the best coffee experience can be. After pechakucha at Gilt, we stopped at Cafe Egao in Talamban. We’ve been wanting to try it, dubbed as the the Japanese coffee shop, but just had not found the time. So finally we were able to visit it. I love small quaint coffee shops owned by coffee enthusiast, and Cafe Egao is exactly like that. That homey kind of feeling minus the budgeted architecture and interior design of coffee shop chains. Something I learned from the barista is that the finer you ground the beans, the stronger the coffee will be. I really thought it’s the opposite — the coarser = the stronger. I love the messiness of the place, which I could not tell if it was intended to be part of their interior design, or it’s just how the place is. And, i wonder if this is how are coffee shops in Japan. It’s functionally romantic (i do not know what word to use to describe the feeling of the place). Now, I wanna go to Japan! Fresh beans, I’ll be back! I guess I could say that was one of the best coffee experience. It’s probably what you call it’s not about the destination, it’s the journey. I know this probably does not best represent myself because this is too cute to be me. But i love the light effect. I’m a sucker for lights-on-the-face effect. I guess because it washed out impurities, and other imperfections. Photo by Imeka Urasaki (not sure if it’s her real name), she’s one of the photographers during running event, and also runs, and her mom runs. She is the person behind the iCapture facebook page. 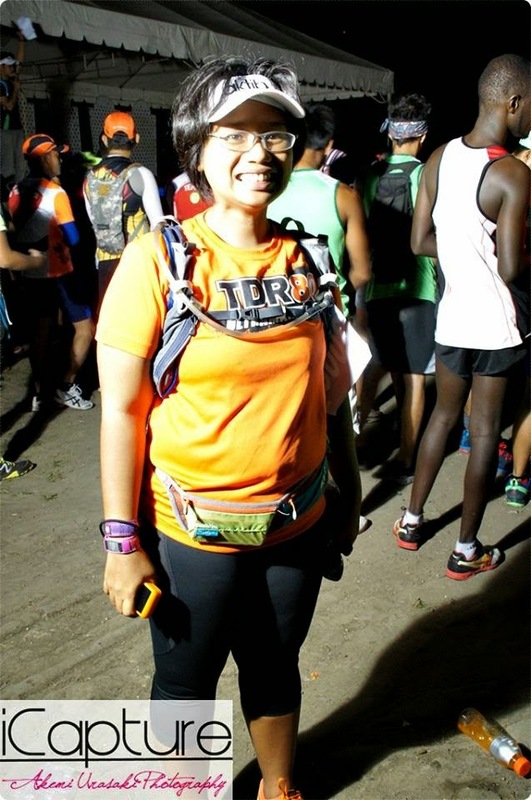 If you’re looking for photos of Cebu fun runs, marathons, running, race events, you can check her page. Mark said that I kept fussing about my (lack of) training program, how about my program for my kids?!? Yeah, right! Enlightenment! So our mediocre program for today was take a long ride to Borbon with the lolas and lolo. So the MIL has this frand project of building a shrine somewhere in the middle of nowhere in Borbon. So we went there with Lolo benancio (MIL’s brother) who will be doing the road planning. But before we reached Borbob, we had standing lunch at Carmen’s public plaza. Watched bikers from the truck. I did not know that the “shrine” was going to be up in some mountains of Borbon. But it was fun to get the kids to do a trek, however short it was. The hats from the MIL, and their made-up trekking poles. I was happy to hear Mati said “nindot” (nice) when asked how was the trek. And, kids had quick dip before heading home. I mainly belong to the mainstream, and that means I son’t really get the comic culture, the artsy fartsy, the literature, the music, not even anime. But then, luckily, I have friends who are cultured. And, though I don’t really get what they’re so crazy about like that GOT “throne” and the boardgames but they’re overwhelming passion did not fail to sweep me off my feet. So anyway, I cannot say in details much about the event (because i don’t watch GOT or play board games) except that all kind of hipsters and “artists” to bordering to “weird” for my taste are there. It felt so ALIVE!!! On the other thought, thanks coffee for making me not so out of place. Poy the all-media gamer — from online, video to this. He with friends created http://ballistagames.com for your classy boardgame needs. No not that snakes and ladders. My daughter in her princess costume, and her voodoo doll loot. My loot from happygaraje’s pop-up booth. Congrats to my cultured friends, happygaraje’s mark and johanna and team ballista!! !